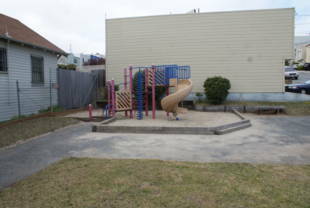 A small play structure and grassy area grace this space in Ingleside. 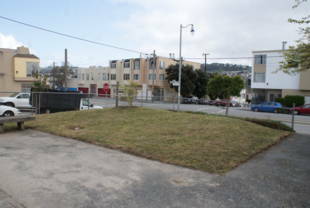 It is conveniently located at an M-Ocean View Muni Metro stop. 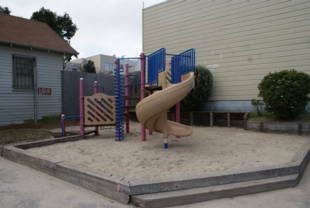 Randolph-Bright Mini Park is owned by the San Francisco Recreation and Park Department. 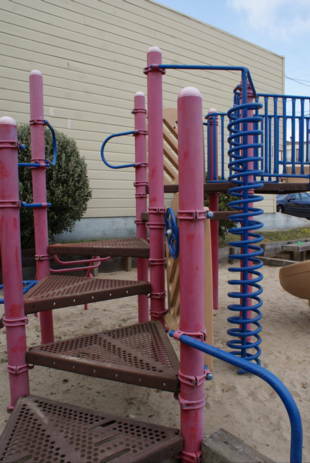 There are numerous mini parks and bigger parks in the area. 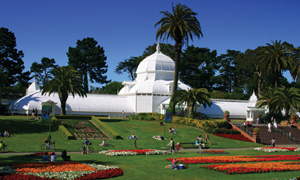 Definitely check out Brooks Park (the gem of Ingleside) and Balboa Park. See their ParkScan pages for more details. Randolph St. and Bright St.